Social media churns out transfer rumours by themselves these days. Fans are eagle-eyed observers, and surely after years of hints being dropped by high-profile targets, players have learned the game. So much so that it wouldn’t be unfair to say that they may influence tales themselves by dropping hints that they know will cause quite a ruckus. Now, Manchester United’s most sought-after target for the summer window may have done just that. 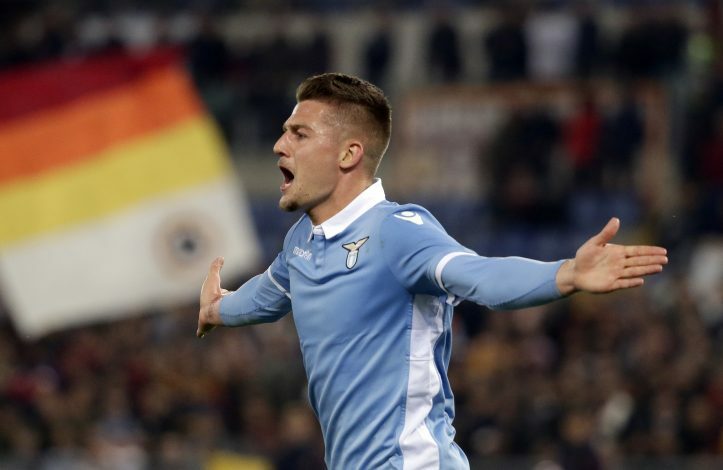 In the weeks leading up to the end of the season, it has been Lazio’s Sergej Milinković-Savić that seems to have unanimously become Jose Mourinho’s top transfer target. The Serb has been reported by multiple sources to be Old Trafford-bound, with The Sun claiming that a £80 million deal has been struck, while Metro believes that the 23-year-old will elect United over his other big suitors in order to play alongside compatriot Nemanja Matic. He has been touted to be the much-required replacement for the retiring Michael Carrick, and his recent Instagram activity may indicate that he knows as much. The player liking a post about the retiring Carrick can mean several things. As admiration goes, it could be yet more praise for the veteran midfielder. But fans who noticed this are convinced that this is assuredly an indication that he is coming to United, and that he isn’t worried about the story leaking. This saga has taken several turns already, and one can’t be too sure of anything just yet. His prowess and skills make him an apt replacement, and United will spend big without giving it a second thought. Mourinho is desperate to land a world-class talent in the region, and the Serb perfectly fits the need. Does this indicate what supporters believe? Or is this just wishful thinking brought upon by the player himself, eager to tease?